Sun-dried tomatoes are made by – as the name suggests – drying ripe tomatoes in the sun. Sometimes, a dehydrator or oven is used. The flavours are extremely intense and salty, so a little goes a long way. They are usually either dry-packed or packed in oil. Dry-packed ones need to be rehydrated before use while those packed in oil can be used immediately. The oil can also be used for salad dressings, win-win! I have to say that this pasta is a bit of an acquired taste. 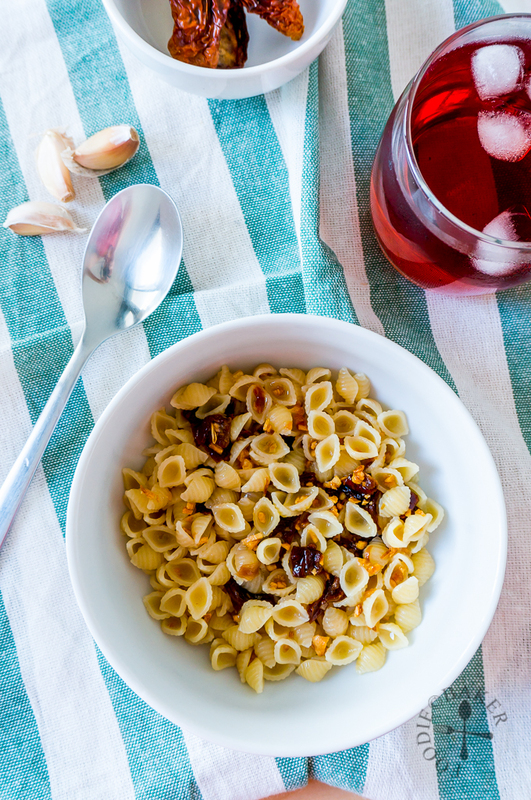 X didn’t like the taste of the sun-dried tomatoes but I love it (and it’s also why you are seeing single-serving recipe today hehe). 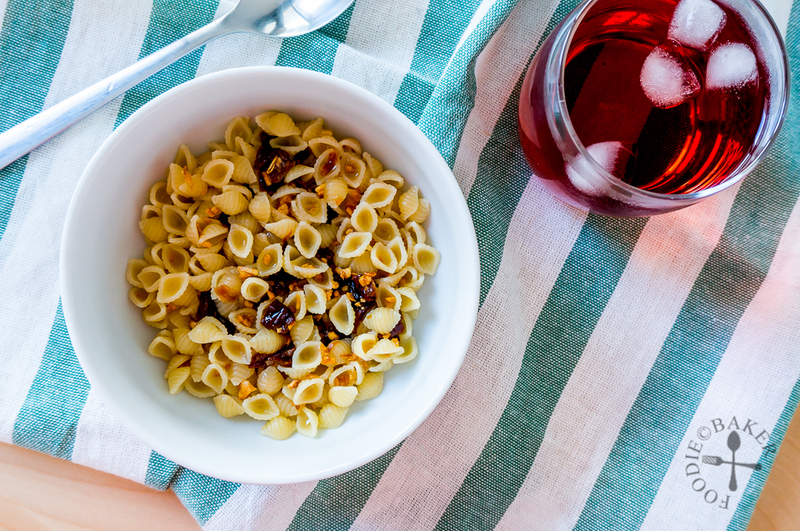 The intense and salty taste that come with every bite of garlicky pasta definitely brings this aglio e olio up a notch. 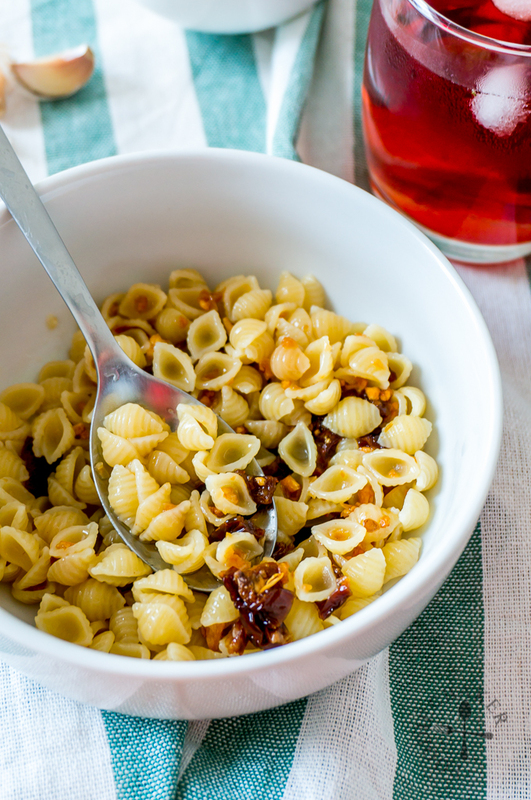 If you have some sun-dried tomatoes on hand, do give this a try and let me know if you like it! 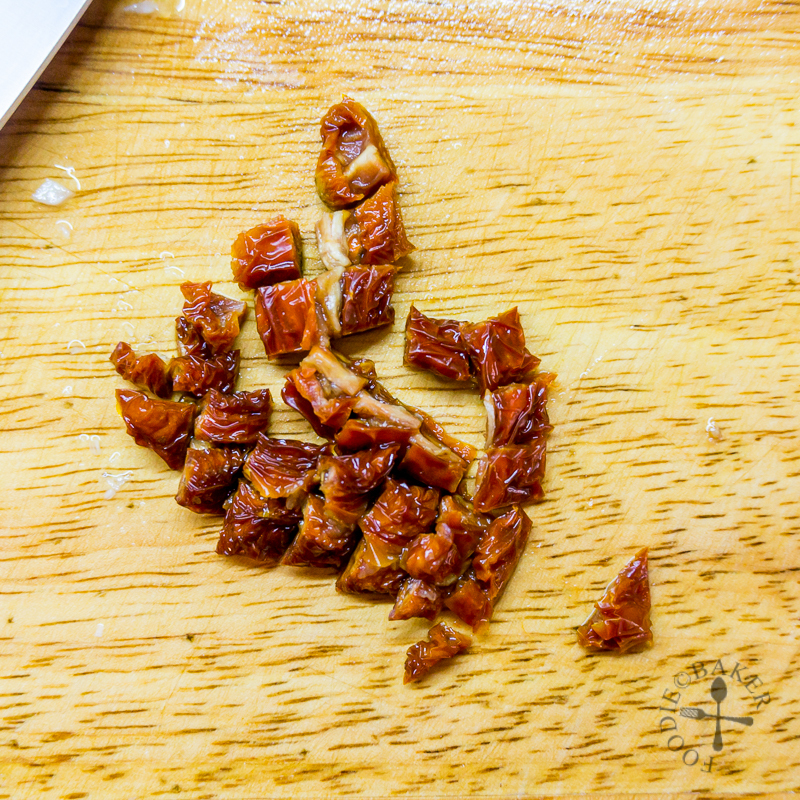 1) Soak sun-dried tomatoes in boiling water until soft, about 10 minutes. 2) Chop into small pieces. 3) Boil a pot of water and season generously with salt (1 tablespoon per litre of water). Add in pasta and cook according to package's instructions until al dente. 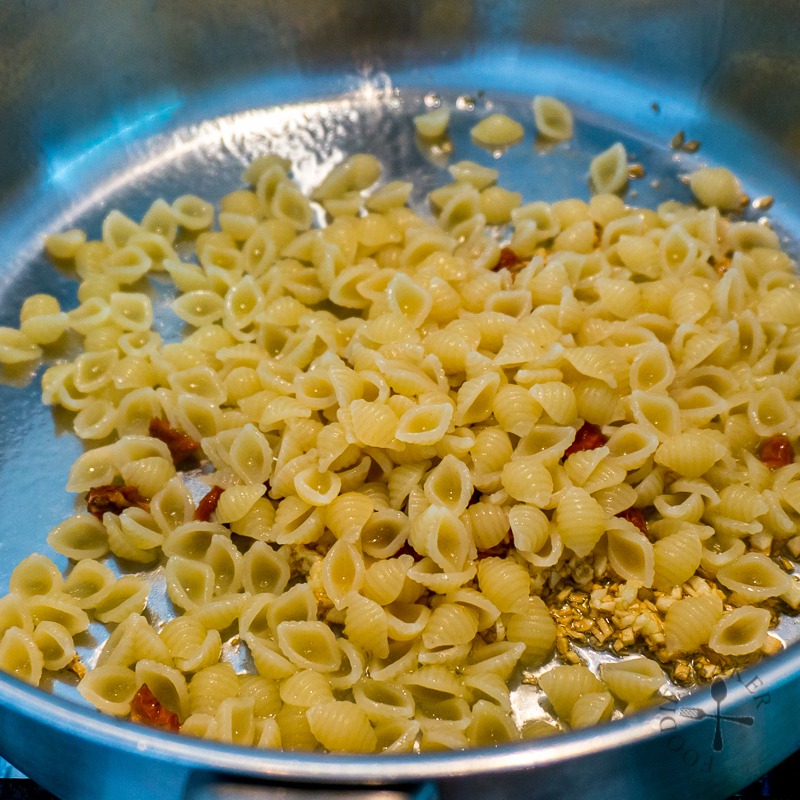 4) While the pasta is cooking, heat olive oil over medium heat in a frying pan. Add in garlic and cook until the garlic is golden. 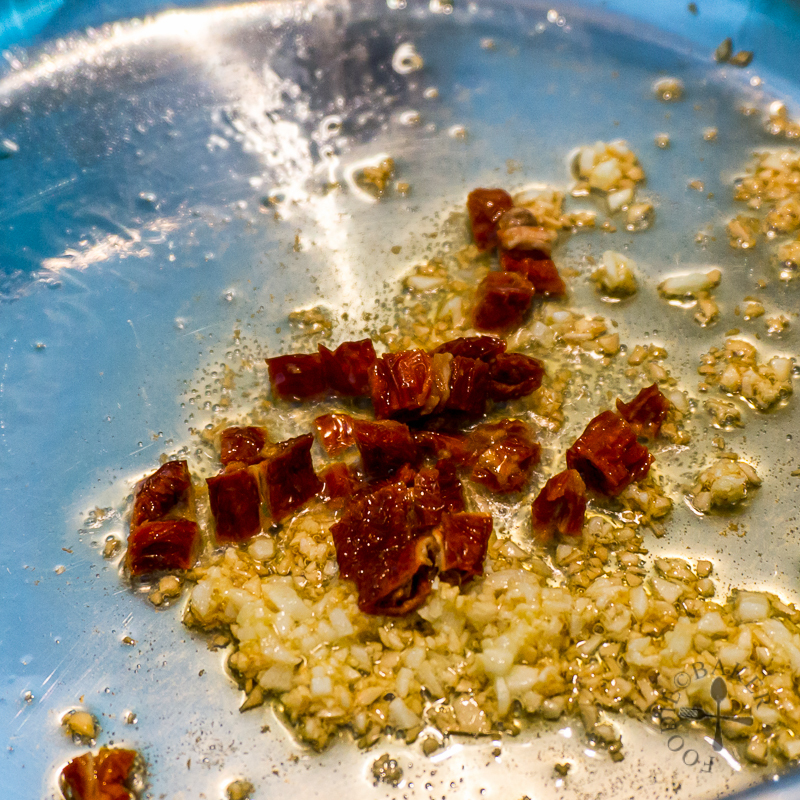 5) Stir in the chopped sun-dried tomatoes. 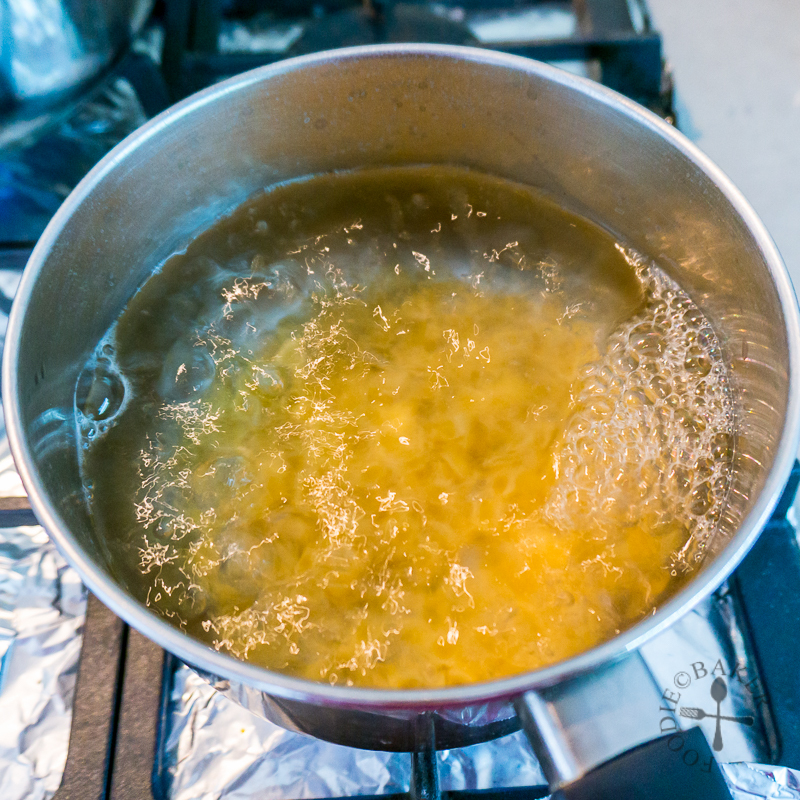 6) Add al dente pasta into the frying pan and toss to coat with the oil. If the pasta seems dry, add in the pasta water bit by bit. 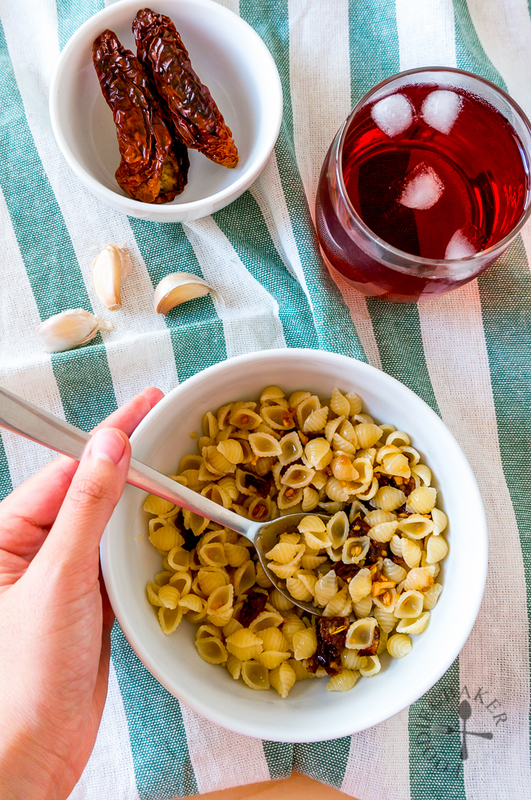 Soak sun-dried tomatoes in boiling water until soft, about 10 minutes. Chop into small pieces. Boil a pot of water and season generously with salt (1 tablespoon per litre of water). Add in pasta and cook according to package's instructions until al dente. While the pasta is cooking, heat olive oil over medium heat in a frying pan. Add in garlic and cook until the garlic is golden. Stir in the chopped sun-dried tomatoes and chilli flakes, if using. If pasta is not ready by now, remove the frying pan from heat. When the pasta is ready, return the frying pan to medium heat. Reserve ¼ cup of pasta water and strain the pasta. 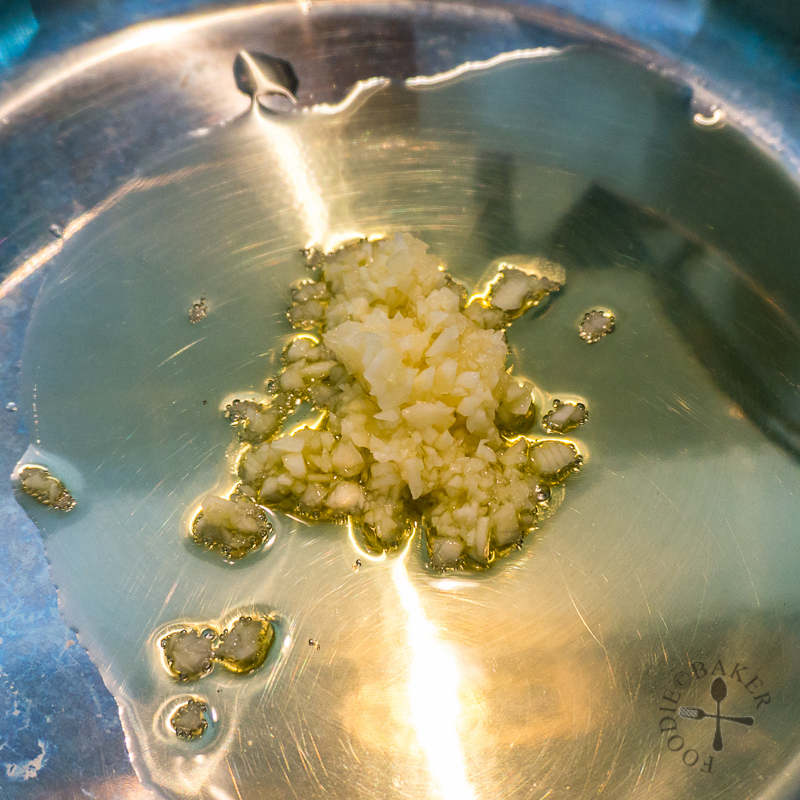 Add into the frying pan and toss to coat with the oil. If the pasta seems dry, add in the pasta water bit by bit. Stir in the fresh herbs, if using. Transfer into a serving dish and serve immediately. 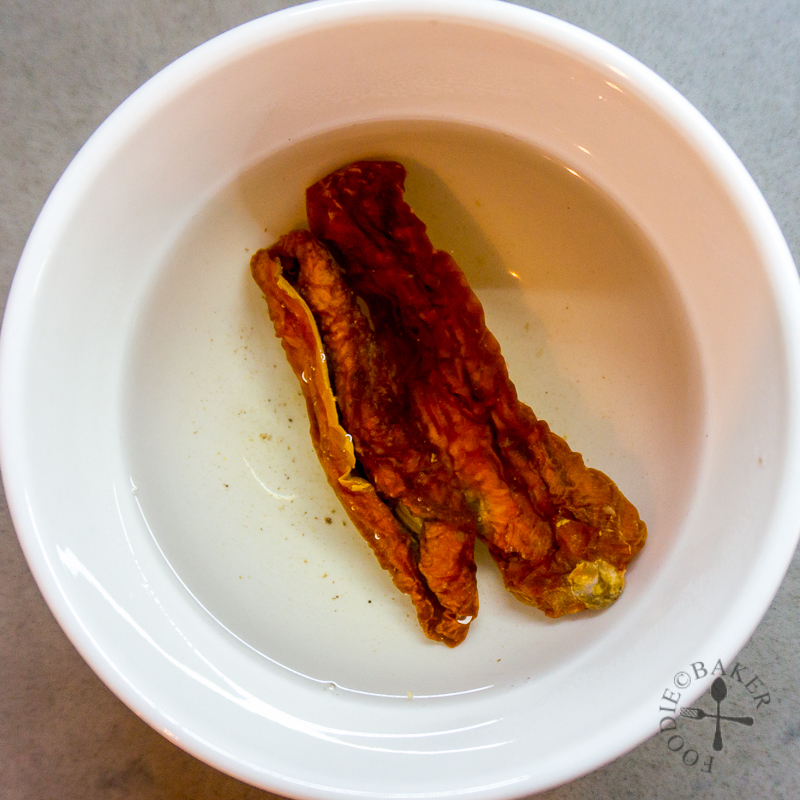 - If you are using oil-packed sun-dried tomatoes, there's no need to soak the sun-dried tomatoes. Just chop them up and add into the garlic mixture. I love the rich flavor of sun-dried tomatoes! This sounds great to me, Jasline!